Master's degree in Computer Science/ Application/ Technology/Engineering/ IT/ Electronics/ Information Security/ Mathematics/ MCA or equivalent subject with minimum 55% or equivalent grade from a recognized University/ Institute and NET/ GATE qualified in a relevant subject. "Development and Management of Strategic Security Intelligence Systems for the Internet ofThings (loT)"
Interested candidates are required to e-mail their complete CV to rkumar1@jmi.ac.in with subject marked as "Application for JRF under SERB-DST". Alternatively, candidates may send their complete CV and self-attested necessary documents, to The Principal Investigator, Dr. Rajendra Kumar, Associate Professor, Deptt. 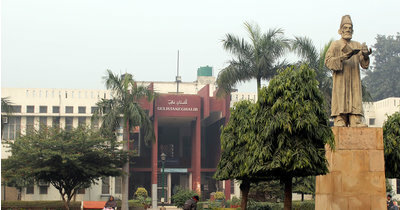 of Computer Science, Jamia Millia Islamia, New Delhi-25, on or before 30 April 2019.